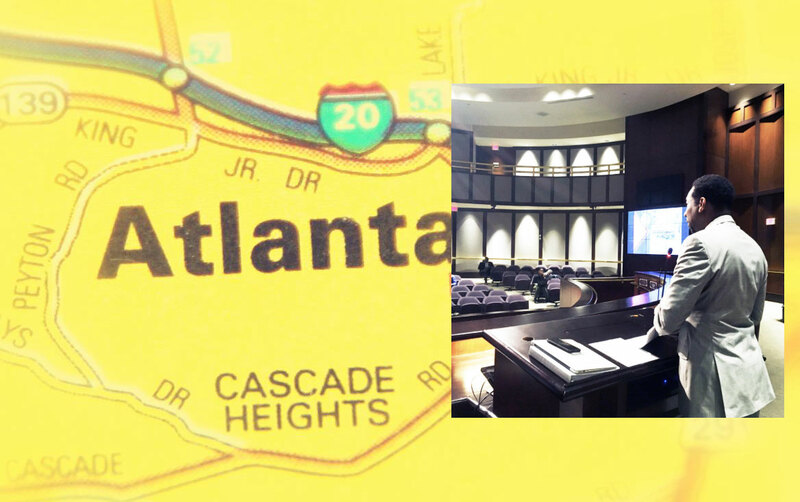 On my first day as a city councilman, I was placed on the Transportation Committee and immediately asked where the Atlanta Transportation Department was located. I quickly learned that we didn’t have one. Over time, my engineering background and instincts insisted that we needed better coordination of our transportation and mobility efforts. In early 2017, I passed Resolution 17-R-3003, to conduct a feasibility study of a single transportation-focused department, an Atlanta Department of Transportation (DOT), that would “design, operate, manage and maintain the City of Atlanta’s transportation system and transit projects and infrastructure.” In late 2017, that study was completed and delivered by WSP USA. As Transportation Committee Chairman, I led a work session with my city council colleagues, the administration, and the public in early 2018 to go over the WSP study findings and recommendations for setting up the department. Building upon the work of WSP, in fall of 2018, I formed the Atlanta Department of Transportation Task Force, comprised of members of City Council, the Mayor’s Office, the COO, Deputy COO, Commissioner of Public Works, Commissioner of City Planning, Sr. Transportation Advisor, Renew Atlanta Interim General Manager, members of Community Improvement Districts, community members, ARC, GDOT, and representatives of groups like Atlanta BeltLine Inc, Transformation Alliance, and the Atlanta Bicycle Coalition. This diverse group met monthly throughout 2018 and developed a plan to create a unified Atlanta Department of Transportation. Great attention was paid to national best practices, internal operational efficiency, mobility, community engagement, public safety, equity, and transparent governance. As we enter the budgeting process for 2020, it is with great excitement that Mayor Keisha Lance Bottoms and I can share that we are moving forward with establishing this new department. I believe this will be a transformative change in the landscape of transportation, city planning, and public works here in Atlanta! It will enable our city to better serve the needs of the public. Over the next few years, I believe the ADOT will create greater efficiency, tighter oversight, and higher quality of service delivery for all Atlantans and our millions of visitors.